Written by Jean Hinman on September 30th, 2014 April 10th, 2017 . 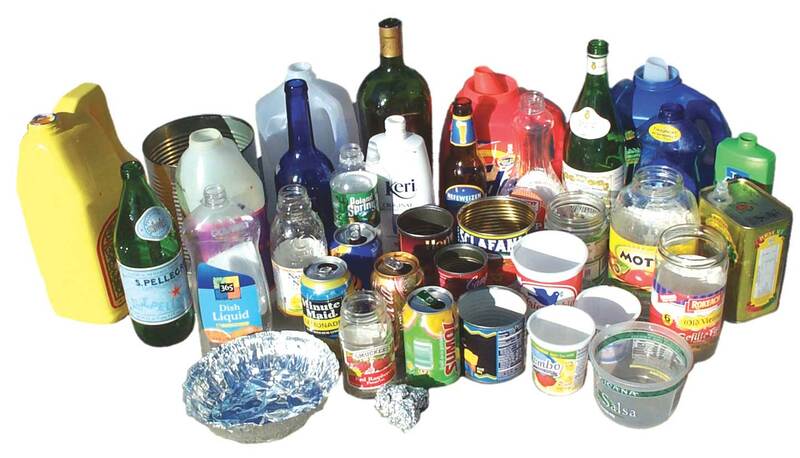 We recycle plastic cups (red and clear), paper, plastic bottles and trays, magazines. These things can go in the blue recycling bins found throughout the facility or into the recycling BIG bins (yellow and green) located near the trash bins on the south west end of bldg. We also recycle cardboard that can be flattened and placed in (or by) the blue recycling bins inside the facility or out in the bins located near the trash bins We recycle the glass wine bottles we use at Mass but encourage all our parishioners to recycle glass at the OP center on Lowell and 119th St or in the purple bins located by Price Chopper at 135th and Quivera. We have a recycling bin for usable used clothes and shoes for Catholic Charities, located next to the cardboard recycling bins. We recycle old phones, eye glasses (including prescription and non prescription glasses)and printer cartridges. These bins are located behind the bulletin boards in the Gathering Area on a shelf. 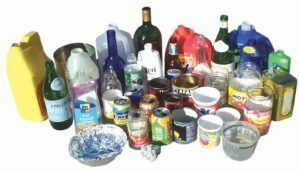 Johnson County has a Household Hazardous Waste (HHW) facility and will properly dispose of your old paints, lawn and garden chemicals, automotive fluids and other hazardous materials. When these items are improperly disposed of, it not only endangers our health and safety, but it also poses risks for our communities, wildlife and the environment. Have you ever wondered what happens to the good quality latex paint you drop off? First they open every can to test for quality, then we re-blend the good stuff for reuse and sell it for as little as $5 per five-gallon bucket. Not only does this help the environment by keeping paint out of landfills, but it also helps fund Johnson County’s HHW program so more residents can benefit from it. The re-blended paint can be used for priming, painting interior or exterior walls, craft projects, or any number of other uses. They are open Monday, Wednesday, and Thursday from 8 a.m. to 3 p.m. No appointment is necessary to purchase paint. Questions? Please contact Kalenna Coleman at Kalenna.Coleman@jocogov.org or 913-238-6880.